The NOVA 9020 7/8 Inch Flexible Point Drive Center is a clever design which is popular among spindle turners. The “Flexible Point” spring-loaded center point allows you to set your workpiece in place (or remove it) with the lathe turning. Your workpiece spins when you increase tailstock pressure and the drive center teeth bite into the wood. With light pressure, it will drive your work but allow it to stop if you have a catch (minimizing damage to your workpiece). With increased pressure, it will power through even the heaviest cuts. 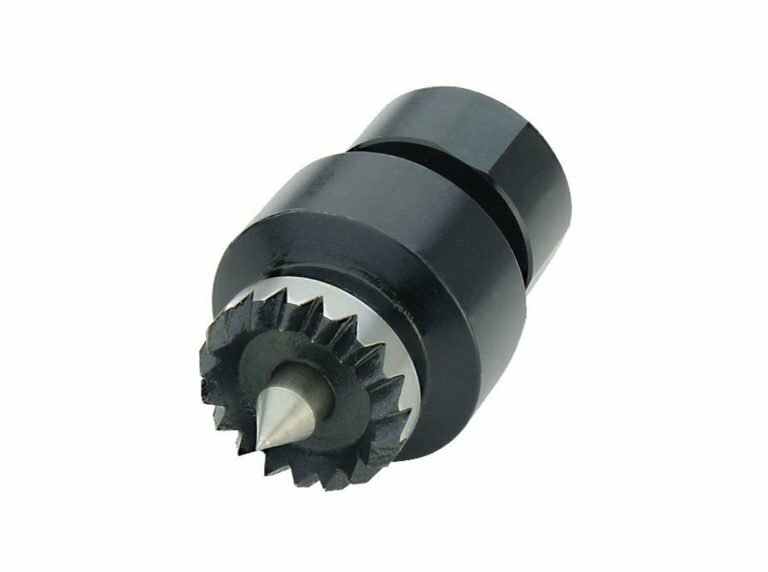 Since its multiple teeth spread the pressure over a larger area, the Flexible Point drive center is less likely to split your workpiece than a standard spur.